If you want your online business to be a resounding success then you have a strategy up your sleeve, a technique to make the strategy work and finally patience. There are so many online businesses today which fail to see the light of the day. It isn’t easy to survive as the competition out there is quite intense and cut throat. So what can you do to make your online business successful today? Answer: use Social Media to full advantage. You are lucky to have launched your online business in an age where social media is at its all time high in the online world. Social networking websites have stormed the internet and they seem to be turning into gold everything they touch. So why not use this profound impact leaving medium to promote your business and to establish credibility? There are many social networking websites like Twitter, Face Book and MySpace which offer individuals and corporate houses space to meet and share ideas and opinions over a network. Twitter is a fairly new social networking website but it has a vast and ever growing reach none the less. You can register with Twitter and create a profile. While creating a profile you have to be as interesting and innovative as possible. In your profile you can include a link to your business website or blog. You want as many people to know about your business as possible. Make sure you join and stay active in interested communities. Make sure each tweet that you send out reflects the developments and updates of your business and products. Keep in mind that the tweets should not be tools of blatant sales promotion, but subtle updates and interesting facts about the products you offer. Face Book is another hugely popular social networking website which is free access to millions of people. Being on face book is an excellent way to promote your online business because the reach of this very popular social networking website is very far. You can even create ads to promote your business and products. Here also you can join communities which best reflect the interests of your business. Make sure to give all the interesting facts and latest updates about your products so that the interest in them remains. You can even promote various social networking games and contests on your profile page so that people are enticed to play and share. Rather than blatantly promoting your products, try to give tips and advice on information related to the products you deal in. 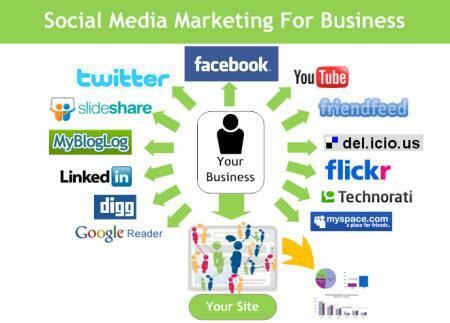 Using social networking sites to promote your online business takes time and skill. You should know which communities to join, what kind of profile to create, what kind of fan pages to create and what kinds of ads to display. Once you get the hang of all this, then using these websites to promote your business will be like a cake walk. After a while you will not even have to do the hard work. The social networking website will be doing its job of spreading awareness about your business while you are just a part of it.